Colocasia Plant Poisoning is the accidental or intentional intake of the plant or plant product containing the compound. What is Colocasia Plant Poisoning? What are the Causes of Colocasia Plant Poisoning? What are the Signs and Symptoms of Colocasia Plant Poisoning? How is First Aid administered for Colocasia Plant Poisoning? Who should administer First Aid for Colocasia Plant Poisoning? 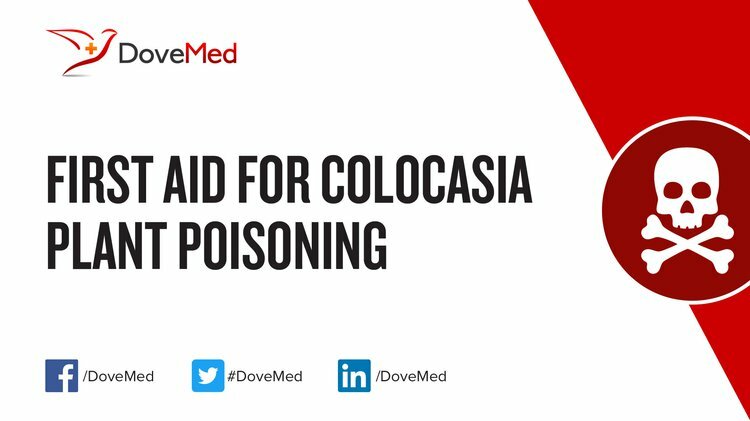 First aid for Colocasia Plant Poisoning is administered by healthcare professionals. What is the Prognosis of Colocasia Plant Poisoning? How can Colocasia Plant Poisoning be Prevented? Malangu, N. (2014). Contribution of plants and traditional medicines to the disparities and similarities in acute poisoning incidents in Botswana, South Africa and Uganda. African Journal of Traditional, Complementary and Alternative Medicines, 11(2), 425-438. Ackah, F. K., van der Puije, G. C., & Moses, E. (2014). First evaluation of taro (Colocasia esculenta) genotypes against leaf blight (Phytophthora colocasiae) in Ghana. HortFlora Research Spectrum, 3(4), 390-391. Deo, S., Kamal, K., Thakur, A. K., Kanwar, R. R., & Singh, J. (2016). Effect of planting techniques and spacing on disease & insect infestation, corm & cormel yield of bunda (Colocasia esculenta var. esculenta) under Bastar Plateau of Chhattisgarh, India. Plant Archives, 16(2), 789-796. Pereira, P. R., Del Aguila, E. M., Verícimo, M. A., Zingali, R. B., Paschoalin, V. M. F., & Silva, J. T. (2014). Purification and characterization of the lectin from taro (Colocasia esculenta) and its effect on mouse splenocyte proliferation in vitro and in vivo. The protein journal, 33(1), 92-99. Lim, C. S., Chhabra, N., Leikin, S., Fischbein, C., Mueller, G. M., & Nelson, M. E. (2016). Atlas of select poisonous plants and mushrooms. Disease-a-Month, 62(3), 41-66. Ghosh, K. C., Rahman, H., Alam, J., Faruque, M. O., & Mahamudul, M. (2010). A comparative analysis of medicinal plants used by folk medicinal healers in villages adjoining the Ghaghot, Bangali and Padma Rivers of Bangladesh. American-Eurasian Journal of Sustainable Agriculture, 4(1), 70-85.